The following are third-party websites that consumers may find helpful. None of these websites are affiliated with ARSI® and ARSI® is not responsible for any information contained on these websites. 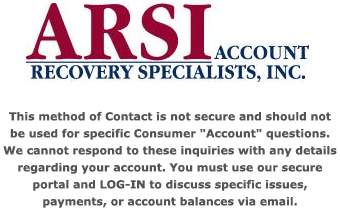 Note: Once you click on a link below, you will be directed away from ARSI®'s official website. Your cash flow is about to improve.